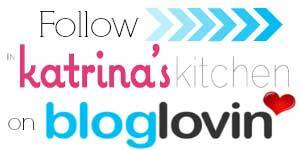 Hello lovely In Katrina’s Kitchen readers! I couldn’t be more pleased to be here, but let’s be honest, the reason isn’t really a fun one. While Katrina is working on feeling better I’ve worked on a post for you to enjoy while she’s getting some rest. Katrina – if we were neighbors this is what I’s be bringing over to you to help in your recovery. Muffins make everyone feel better. Get better soon because we all miss you! So who am I? Well I’m Melissa from over at Bless this Mess. I’m a photographer, recipe developer, Urban homesteader, momma and general lover of all things delicious. My blog, Bless this Mess, is an honest picture of a happy small town life. 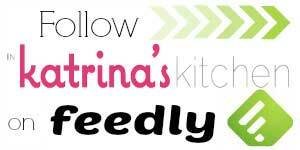 You’ll find posts about raising backyard chickens, remodeling our house while living in the mess and lots and lots of family friendly recipes, dessert included. 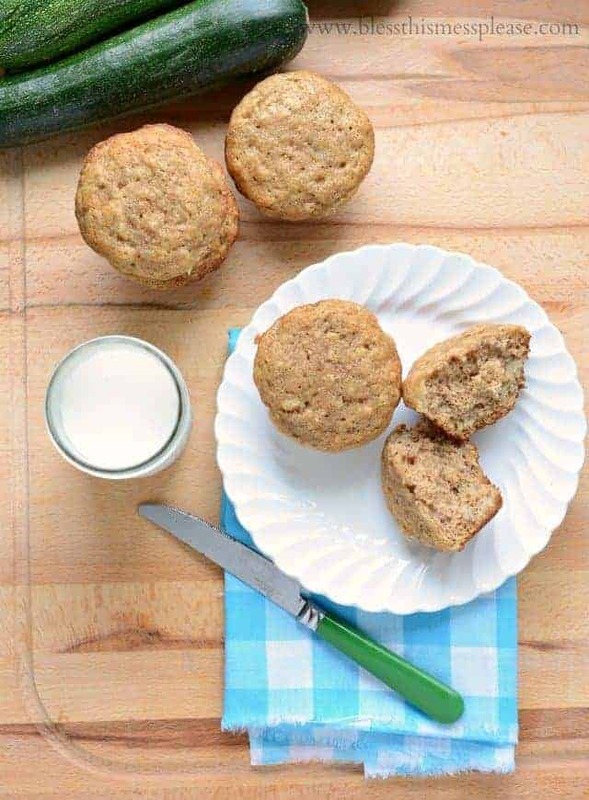 Zucchini Banana Muffins are just what the doctor ordered when you are in need of a little gift to take to a friend, an after school snack, or something to go with scrambled eggs in the morning (or for dinner!). These muffins are light, fluffy, and moist. 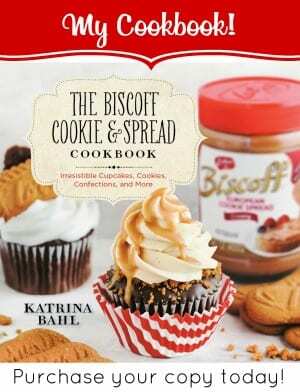 Plus, when you are combining America’s two favorite quick breads you are bound to win. Now you no longer have to pick a favorite; they come together! I hope you enjoy the recipe and be sure to come over and say hello! Preheat the oven to 350 degrees and grease 2 12-cup muffins tins pans. Set aside. In a large bowl combing the flour, baking powder, baking soda, cinnamon and salt. Whisk to combine. In another medium bowl combine the eggs, sugar, oil, applesauce, and bananas. Stir until well combined. Add the egg mixture to the flour mixture and stir until just incorporated. Don't over mix at this point of the batter will get tough. Add the shredded zucchini and gently fold it into the batter. Pour the batter evenly into the prepared pans and bake for 18-24 minutes or until a toothpick inserted into the center of a muffin comes out clean. Let the muffins cool in the pan for about 10 minutes, remove from the pan, and then let it cool some on a wire rack before serving. Store in an airtight container. 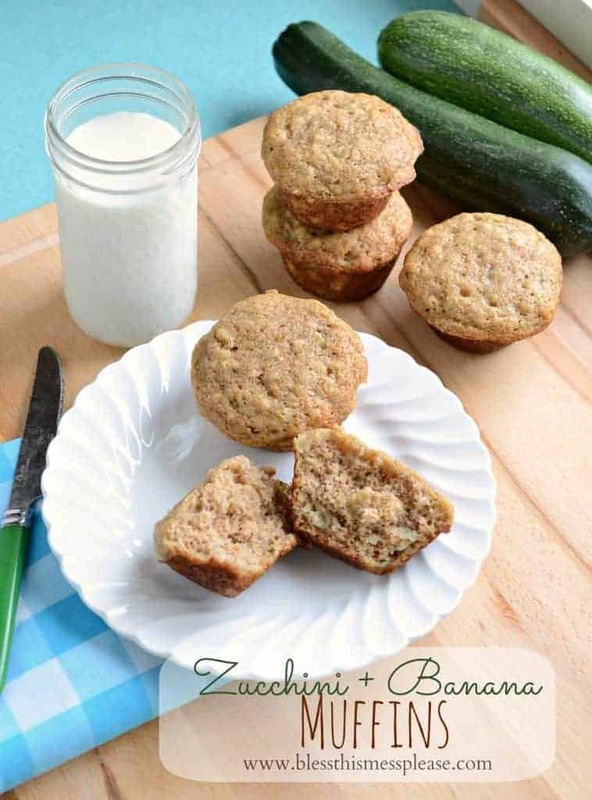 This recipe is from [The Brown Eyed Baker|http://www.browneyedbaker.com/2013/08/21/zucchini-banana-bread-recipe/]. And if you enjoyed this recipe, here are a few more from my blog that you might also like! 3. The BEST Caramel Dip – This recipe is perfectly smooth caramel for dipping apples or pretzels. 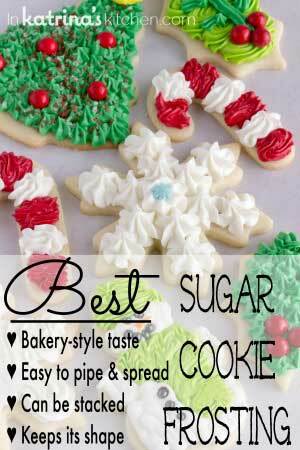 It’s surprisingly easy to make and turns out great! I make this for party after party in the fall. It’s definitely one of my favorite recipes! Thanks so much for letting me entertain you while the boss is out and I hope you enjoy these recipes! Have a great day. And I’ve got to give Kristi from Love from the Oven a big thank you. She’s behind the scenes getting posts organized and I wouldn’t be here without here. She is a great friend indeed! Thanks Kristi! I love this classic combination! These sound awesome! 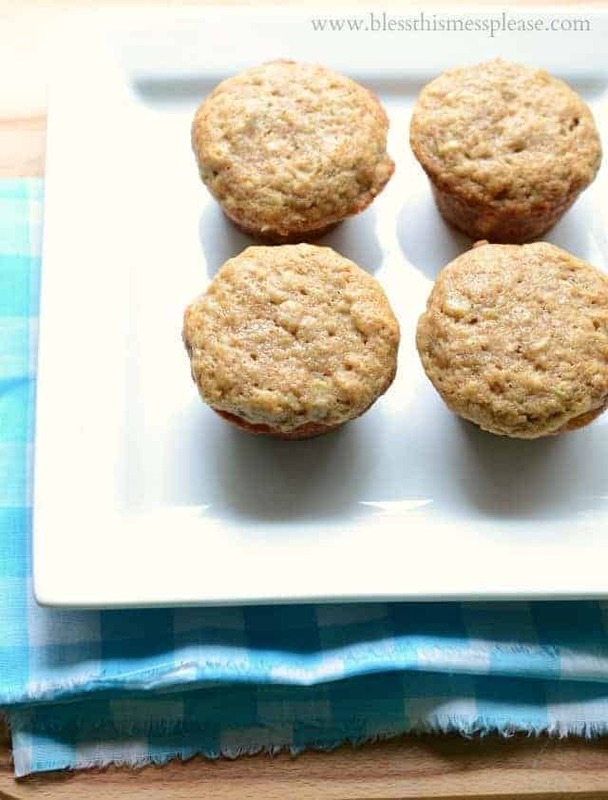 Love zucchini bread and even better in muffins! YUM! Great muffins! I love zucchini in baked goods! 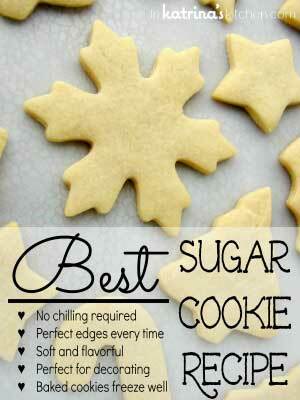 I have a giant one sitting in my fridge right now, I might have to make these this week. Get well soon Katrina – thinking of you! These look delightful 🙂 perfect for breakfast! Thanks so much! My first time baking with zucchini and these turned out perfect! So tasty! I have tried this one with added more banana on it and it turn out really great and fluffy plus i alternate apple sauce with butter. Thanks for the recipe.